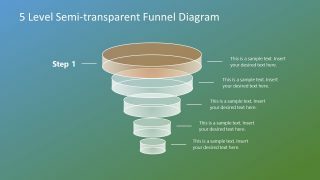 Free 5 Level Semi-Transparent Funnel Diagram for PowerPoint – An infographic template for business strategy presentations. 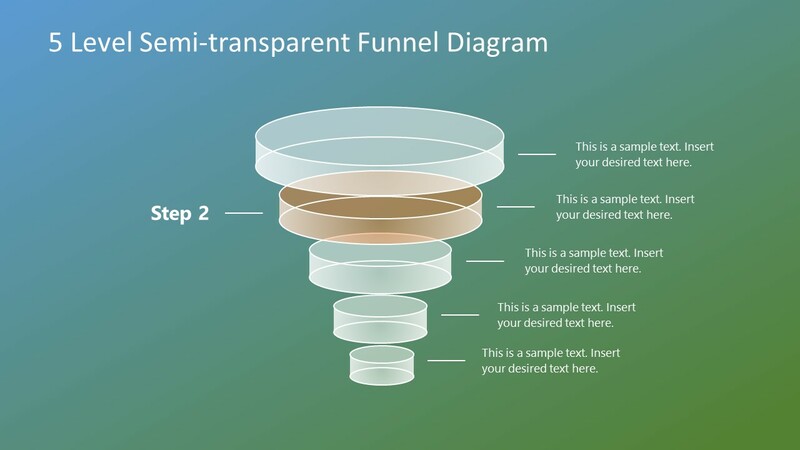 The funnel charts illustrate sales processes starting from customer profile to product purchase. 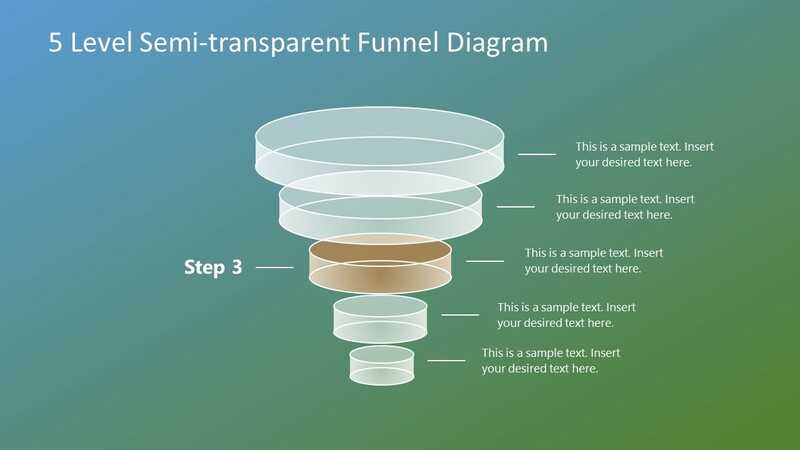 Therefore, these charts are widely used in creating sales and marketing strategic plans. 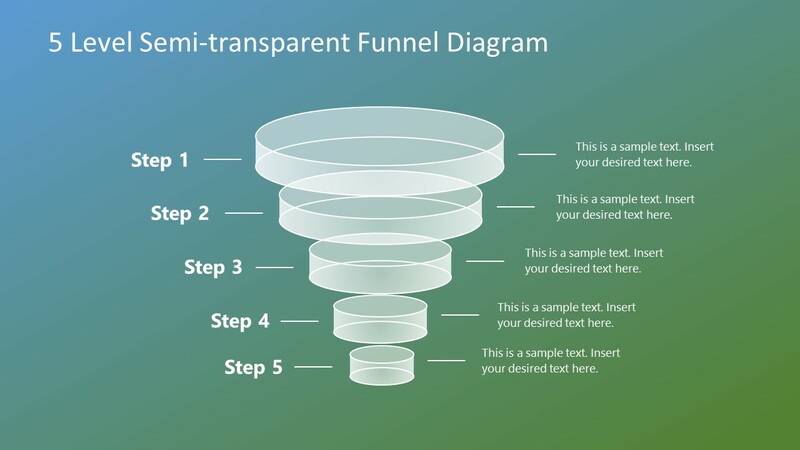 Often, the funnel diagrams display percentage by narrowing down data or information. 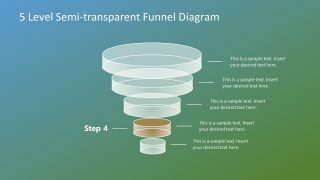 The 5 level semi-transparent funnel PowerPoint offers 6 slides i.e. one overview and 5 subsequent layouts of highlighted levels. 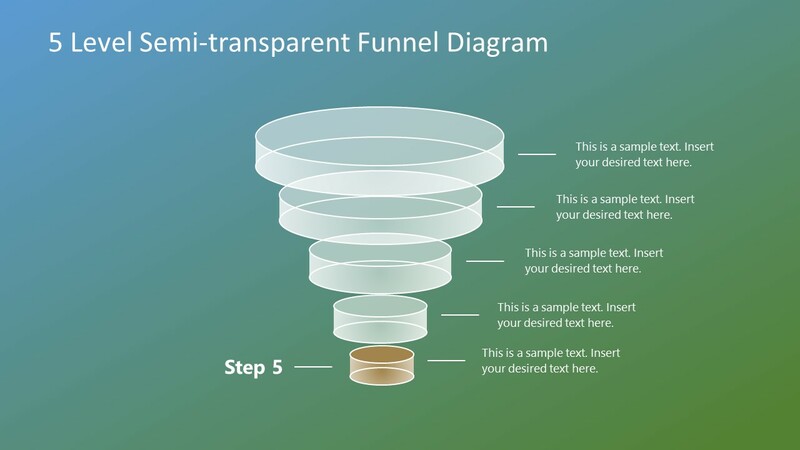 The semi-transparent disks design explains the idea of transparency while filtering out data. It further provides 3D shape of disks at each level like test tubes for more compelling visuals. 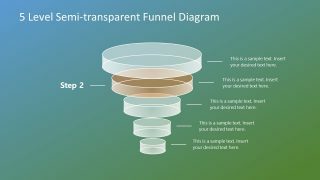 The Free 5 Level Semi-Transparent Funnel Diagram for PowerPoint is an ideal graphics tool for marketing. 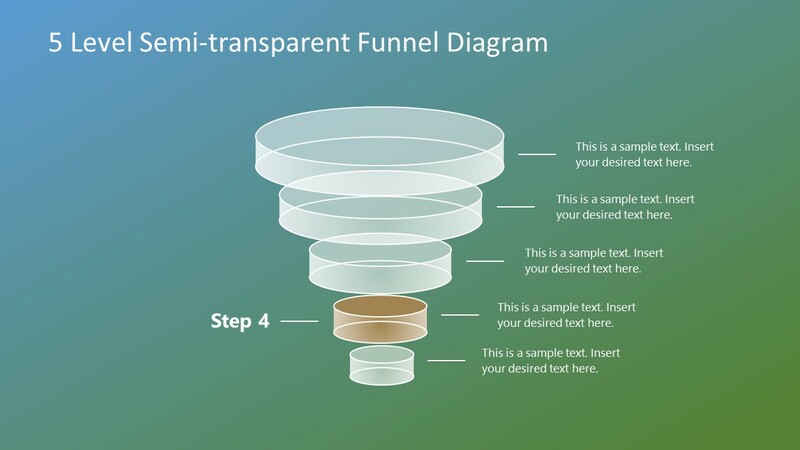 Here, a vertical segmentation of 5 layers creates an easy-to-digest sales process map. 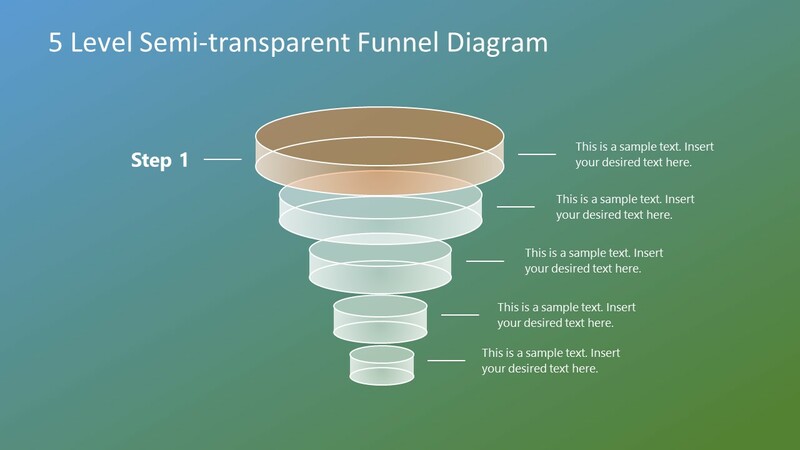 This PowerPoint diagram can also assist users in describing lead generation or similar concepts. 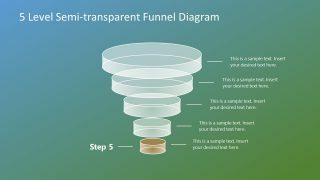 However, this semi-transparent diagram of 5 levels could also describe various data processing activities. For example, taking sample data from population and calculating different statistical analysis. 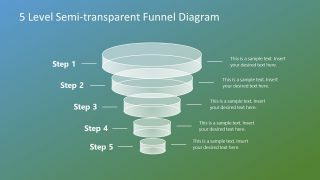 Check out Buyer Journey Funnel diagram in the premium catalog of SlideModel which is based on similar semi-transparent layout design. 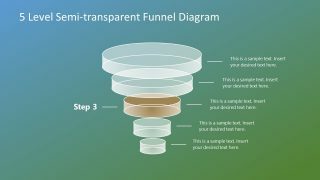 The semi-transparent PowerPoint diagram of 5 levels is an editable tool for funnel concept presentations. The users can modify everything from backgrounds to diagram color and sizes in a few quick clicks. Also, change the intensity of transparency from shape format by opening formatting toolbar on right panel. Similarly, the background of gradient colors could be replaced by images or patterns from design menu bar.